Springer Controls offers two types of footswitches designed for use with auxiliary control of industrial machines. A footswitch acts on the machine’s motor through a power interface, like a contactor. The series 6100 and 6200 footswitch can be configured with 1 or 2 switches fixed to a metal plate utilizing EN 418 certified mushroom pushbutton. The 6100 is designed with a metal plate on the back for connecting to pneumatic valves. 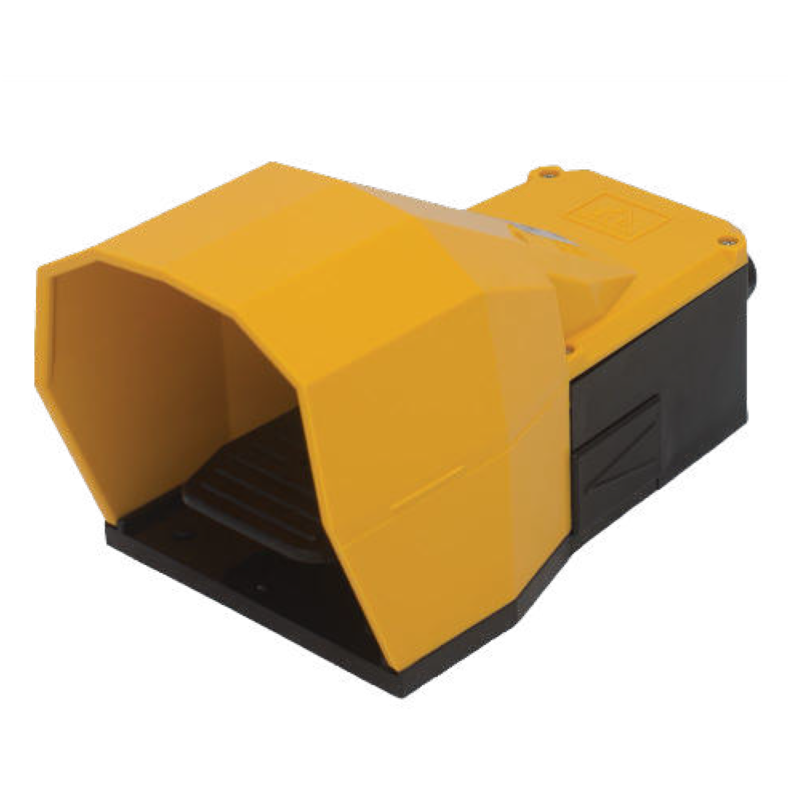 The 6200 does not include the metal plate on the back and is a more economical solution for applications not connecting to pneumatic valves. Snap or slow action switches are available with 1NO + 1NC contacts or slow action switches with 2NO + 2NC contacts.